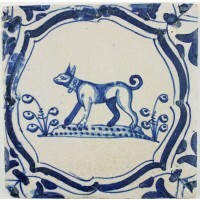 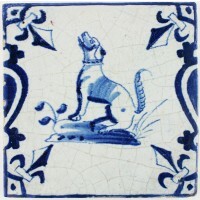 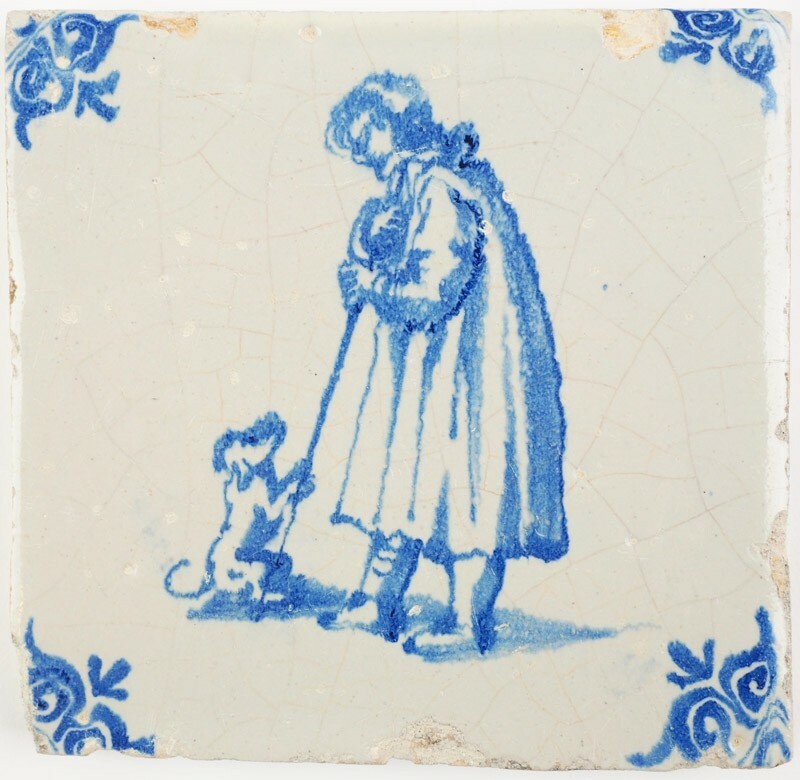 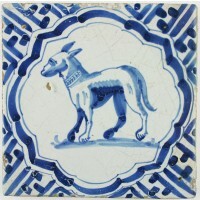 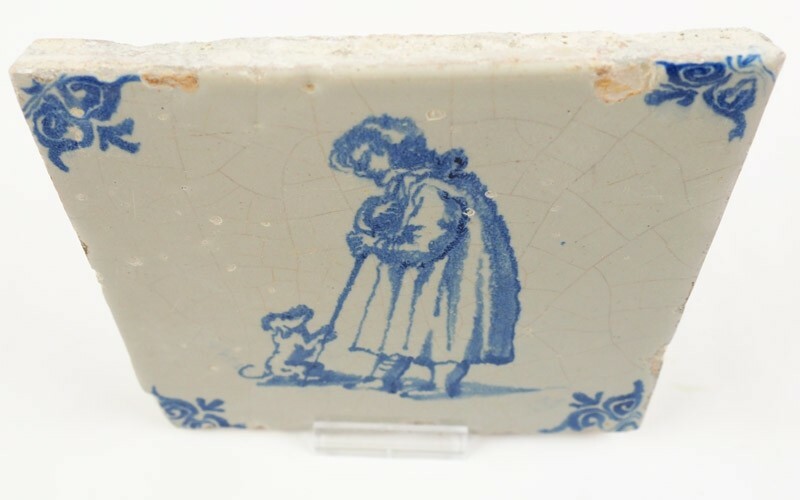 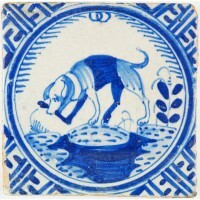 This original 17th century (c. 1640) Delft tile depicts a beautiful scene between a dog and a gentleman. The man seems to be resting on a stick and the dog is standing on his rear paws begging for attention or food. 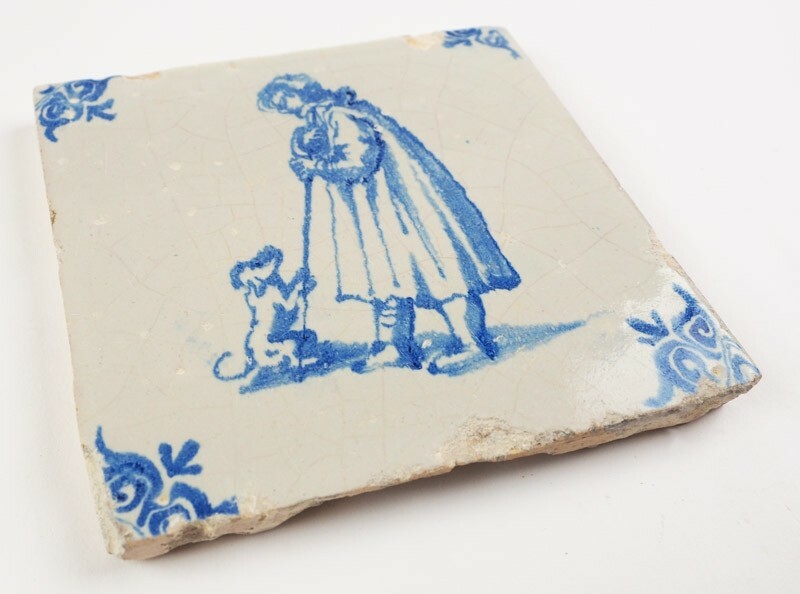 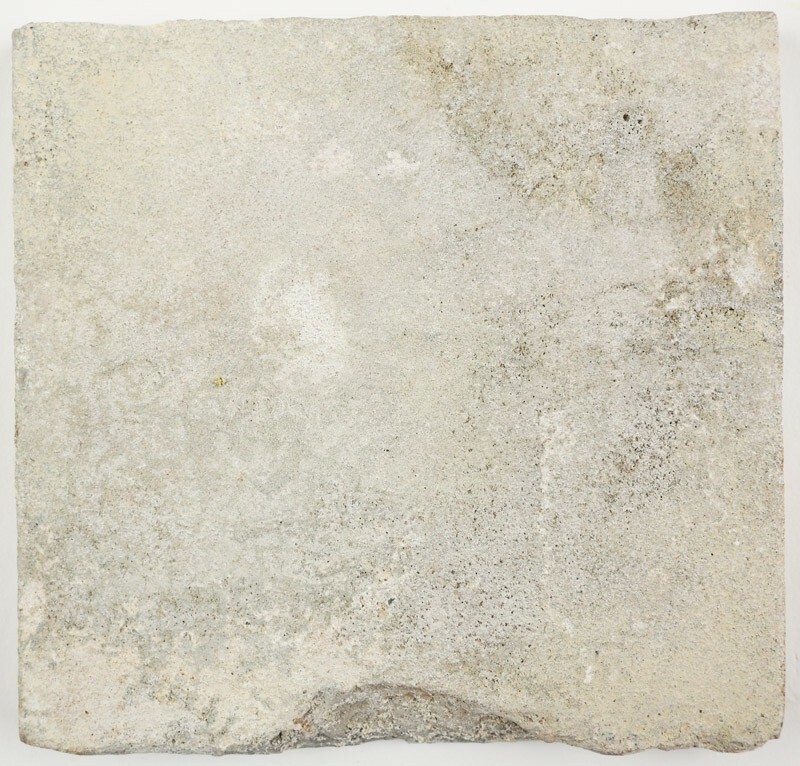 The tile is in a rough condition after almost 400 years, but as it is such a lovely scene we decided to add it to the website. 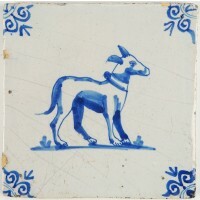 It has chips along the lower left corner and along the sides.